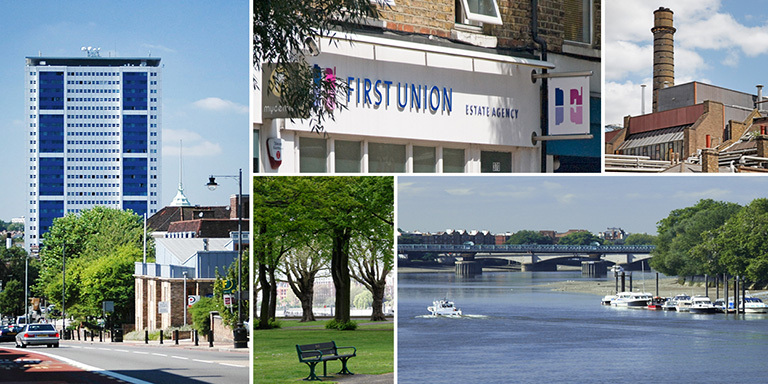 First Union Estate Agency is one of the leading estate agents in North Battersea offering property sales, lettings and property management to clients across Battersea and Wandsworth. 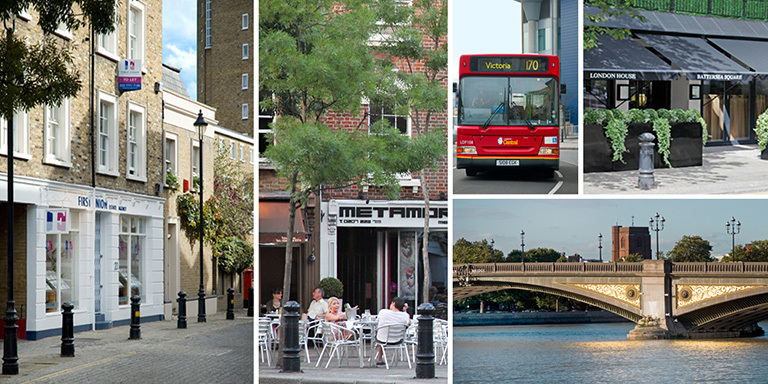 Our Battersea office is located on the very popular Battersea Square, with its excellent range of bars and restaurants, close to the river Thames and Battersea Bridge. Clapham Junction mainline station is approximately a ten minute walk away with its access to Victoria, Waterloo and Gatwick Airport making Battersea Square a very popular place to live and work. There are numerous bus routes that can be accessed along Vicarage Crescent giving fast and easy access to the City and West End. Battersea Park is just a few minutes’ walk away and has again been confirmed as one of the best green open spaces in the country after successfully retaining its coveted Green Flag award. Described as “the jewel in the crown of London’s parks” the award from leading environmental charity Keep Britain Tidy recognises the best parks and green spaces across the UK. The riverside in Battersea was heavily bombed during the Second World War. This led to the industrial area being wiped out at the same time as industries closed down or relocated. Over the last twenty years Battersea’s waterfront has transformed into luxury riverside apartments, restaurants, bars and public walkways. This will almost be complete when the Battersea Power Station development is built which includes over 3,000 new homes, a new high street and park. The extension to the Northern Line is also due to open in 2020. On Battersea Square itself there is a great selection of coffee shops and restaurants. The recently opened Gail’s Bakery has proved to be a popular haunt for the locals to get their early morning caffeine hit! Queenswood Restaurant has established itself as a relaxing dining experience with a varied European menu. If you really want to treat yourself, there is always Gordon Ramsey’s London House, where you could try one of their legendary Sunday Roasts. Just off Battersea Square is The Woodman Public House, a long-established drinking and dining local pub that will instantly win you over with its excellent home cooking. Battersea Square offers a complete range of properties to purchase that will suit just about every budget ranging from studio flats for first time buyers to large period homes. Along the river there are numerous apartment blocks ranging from Valiant House built in the 70’s and Morgan’s Walk in the 80’s, to one of the most recently built, Falcon Wharf. Currently, Barratt Homes are developing one of the few spaces left along this stretch of the river and building Lombard Wharf. If you are looking to move within this vibrant area, please do contact one of the team at First Union who will be happy to assist you. Our Wandsworth office can be found on Old York Road, the home to Wandsworth Town Station and just a short walk away from the popular Southside shopping centre and King Georges Park. Wandsworth Town rail station allows easy access into Clapham Junction, Vauxhall & Waterloo. There are also various bus routes within walking distance, including routes to Putney, Wimbledon Park & Victoria. Wandsworth is home to many green spaces, including King Georges Park, located minutes away from the heart of Wandsworth itself. The Wandle Trail passes through the park making the area very popular dog walkers and family days out. Another open space includes Wandsworth Park, which is located on the river Thames and proves a great picnic spot in the summer! The old local landmark of Wandsworth, the Ram Brewery, which being open from 1831-2006, was claimed to be the oldest brewery in continuous operation; is currently undergoing works to become a fantastic new development for the area. With 661 new homes and 10683 square meters of commercial space, it will really bring Wandsworth Town to light. The site will also keep its original heritage with a new micro-brewery and brewing museum opening up in the restored historic buildings! Old York Road itself is home to a mixture of chain and independent businesses, including the very popular CWTCH, located just outside Wandsworth Town station. Here you can get a cup of coffee and a legendary bacon roll – highly recommended! The Alma pub is the best place to go for a quick drink. Well known for its Rugby atmosphere and award winning restaurant, as well as a boutique hotel, it’s debatably the heart of Old York Road. Other businesses include Tonsley Antiques, Oil & Water contempory art gallery, Local Sainsbury’s, Meat Up grill & Pizza Express. Southside shopping centre found in the heart of Wandsworth and just minutes walking distance from Old York Road; is a popular place for locals to go for the complete retail and leisure experience. You can find high street retail shops, chain restaurants and a Cineworld Cinema, all under one roof. The location has undergone a huge facelift over the years, with the site improving facilities ever more - helping Wandsworth look even more attractive to its residents. Wandsworth Town is a popular location for anyone looking to buy or rent, at any budget. The range of properties include riverside apartments such as Riverside West, within minutes of the station, or town houses such as the famous ‘Tonsley’s’, which make great family homes. The development of Wandsworth Town and the surrounding areas, mean that Wandsworth is growing into a very popular place to live.